Malignant gliomas are the most common types of incurable primary brain tumours. 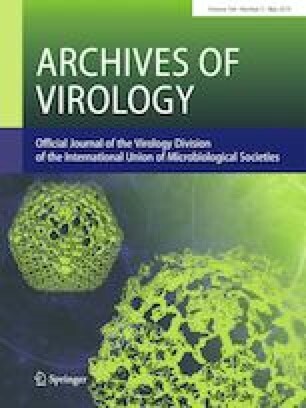 Therefore, to better clarify the aetiology and pathogenesis of the disease and analyse the risk factors involved, several researchers have highlighted a possible link to human cytomegalovirus (HCMV). Regarding this potential link, the numbers of studies and controversies concerning the relationship between HCMV infections and malignant gliomas have significantly increased. Therefore, we conducted a meta-analysis of observational studies to summarize and pool the available results on the association of HCMV in patients with glioma. Our meta-analysis was based on the PRISMA algorithm, using fixed/random models through STATA IC 13.1 software. Thus, 32 studies were included with a total of 2,190 participants/specimens (glioma, n = 1,871; non-glioma, n = 319). The overall estimate of combined HCMV frequency in patients with glioma was 63% (95% confidence interval [CI]: 56-70). There was an association between HCMV infection and glioma (adjusted OR = 3, 95% CI: 1.7-5.3). The pooled subgroup analysis of viral markers also showed a positive association between the pp65 protein (OR = 3.1, 95% CI: 1.8-5), and gB nucleic acids (OR = 3.1, 95% CI: 1.1-8). For the viral marker IE1-72 protein, the pooled frequency and association results were higher. However, there was no correlation of higher viral association according to the histological subtypes and low/high grade of gliomas. In conclusion, the available evidence suggests an association between HCMV and glioma. Consequently, precautions should be taken, as discussed in this report. The online version of this article ( https://doi.org/10.1007/s00705-019-04206-z) contains supplementary material, which is available to authorized users. This work was carried out as part of the master studies of K.P.R.A.F (Programa de Pós-graduação em Ciências Aplicadas à Saúde, UFG). VGC was the recipient of a FAPDF and CAPES fellowship at different times. MLM and VGC designed the study. KPRAF, VGF and VGC performed data collection. VGC performed statistical analysis. All authors reviewed and approved the final version of the manuscript. The study received financial support from FAPEG (010/2013) for English editing services. The funders had no role in study design, data collection and analysis, decision to publish, or preparation of the manuscript. This article does not contain any studies with research involving human participants and/or animals performed by any of the authors.